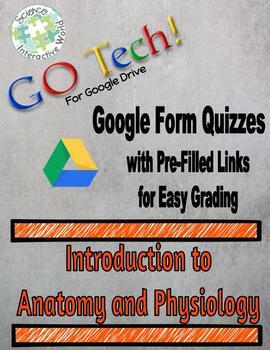 ♦ Pre-Filled Links with each quiz for easy grading!! What is a GOTech!! Activity? Dynamic learning tool accessed by students through online clouds, such as Google Drive and Microsoft One. Allows for a flipped classroom platform where students create, edit and print files from any computer or smart device. Teachers can share as a full file, a single slide, or even as a great looking printed handout! Why use a GOTech!! Activity? ✓ For use on Chromebooks, Android Tablets, and other devices! No printing, No cutting, No glue!!!! Why use GO Tech! Google Form Quizzes??? Click the Green Star above to follow our store and receive updates about new products and specials! !